Lucey's Good Food is based in Mallow, Cork and is a butcher and caterer rolled into one. The company sources their produce from local farmers and producers. 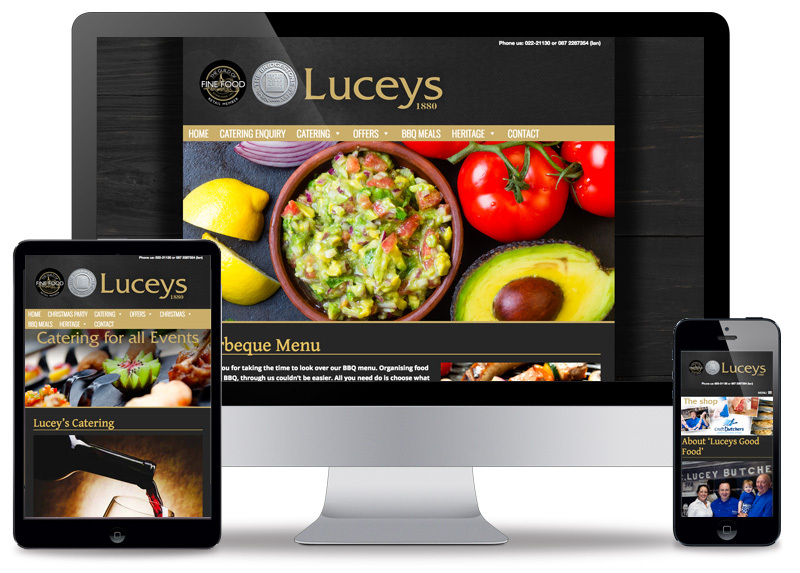 The website is built in WordPress Content Managed System and tells Lucey's story from their roots in 1860 up until the present day. The website boasts a massive selection of menu's and catering choices for different occasions with a mouth watering showcase of food photography. The customer is also afforded the opportunity to order catering and menu items straight from the website.